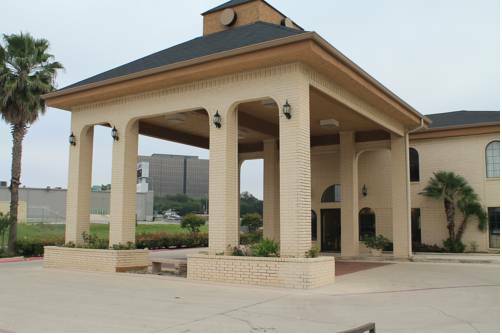 Get more for your money at the Quality Inn near Medical Center hotel in San Antonio, TX. We are near other activities and sites like the Alamo, Six Flags Fiesta Texas, San Antonio River Walk and the San Antonio Zoological Gardens and Aquarium. Get more value with amenities like free breakfast, free WiFi, free coffee and guest laundry facilities. Guest rooms come with TVs, refrigerators, microwaves, Q beds, hair dryers and coffee makers. Upper-tier suites have even more amenities, such as a hot tubs. We also offer membership to the Choice Privileges Program, which gives members the opportunity to earn valuable rewards points toward airline miles, gift cards and free hotel room nights. Pet Accommodation: 10.00/night per pet. Pet Limit: 1 pet/room, 25lbs. or under.